You know, I always feel it is my husband's rebirth happened when our son came into our lives. Biologically he became a father 3 years ago. Biologically I returned him (his Ys, you know) that he had given to me, in a transformed way. But I had never imagined that my genes can cast a spell as well, so as to make my unwitting man, a caring father. Is it the biology that changed even the toughest person like him into a tender soul who cries seeing his son in pain? Is it the biology that proves the existence of fatherhood? I don't have explicit answers. But, in three years, I have realized that fatherhood is more than a biological phenomenon. Ever since our boy came into our lives, I am seeing my husband achieving milestones of fatherhood one after another. Day one was when I saw his talking to our hardly two days old baby in the night. Those were talks of his present, past and future. Then I noticed him breaking the rules of his family and doing things that mostly mothers do as per his family conventions. Then we passed through days when we had no one to look after our tiny boy and being working parents, we also had our work commitments. He volunteered then to be a day keeper for our son, where as I used to go office. What an awesome job he did! He kept the baby better than I could have done. He did everything that falls into a baby’s routine. And that included giving the baby a massage, changing, wiping, feeding and outing. He learned to make our son sleep with singing lullabies. He managed to take his office calls sitting next to our 8 months old boy. He understood the little one so well that he was able to have our boy gleeful all day long. When I used to come back from office worrying how their day went, seeing them so involved with each other used to give me a fulfillment. He very much proved that parenting is a team work and he alone is good enough to give more than 50% of parenting dues. He is an expert nappy changer, awesome fun maker and a five o’clock getter upper. He is very much a parent. Present. Available. Loving. I am not saying that I ever had a doubt about him, but he proved my vexation wrong that I initially had. He can do anything and everything. When I find my son inheriting his nature, interests, and habits, I always feel blessed about my life. Because this is the thing I really want, I wish my son to be like him. Although life certainly is not simple. We argue and temporarily halt our talks. We are facing usual everyday couple issues and we often forget to give value to each other. But I count myself very lucky to have my Other Half. He the man of my dreams. But perhaps even more importantly he is the father of my dream. So although I hate his over-analysis on things and how he is lazy in doing some of his own chores, he will be forgiven. Coming back to Biology lessons, they say some part of a mother and some part of a father make a baby. However, pregnancy and parenting research has mostly favored mothers, for obvious reasons. Not much is being thought from a father’s perspective and the change he goes through after entering into fatherhood. But finally, studies happened and it was found out that a man’s brain actually does change after becoming a father. It gets rewired to support the evolutionary role of becoming a father. Parenting instincts are often assumed to be excessively under the dominion of the mother, but the truth is neither of the parents is born with the neural structure for the role. Their brains evolve for the function. And the brain does not shape-shift in isolation. It changes seeing the beautiful things happening around and the baby. The change is bi-directional, means as our environment changes us, we change our environment. When a man becomes a father biologically, emotionally he becomes the one who feels happy seeing his family happy. So, fatherhood is not only about being a partner in cooking a baby, it is much more than it. It is doing anything to withhold the family's blest. And I don't think biology alone is responsible for it. Inclusive parenting is very essential for the upbringing of a child. The child feels very secure . It's nice to see now that atleast in urban India , father's are actively participating in child rearing. It's a game changer move Aesha. It can make raising kids easier for the family. Thank you Shubhreet. Yes our generation's fathers can equality participating in today's parenting needs. We are blessed that we are seeing in transition happening in most of the families. Yes Udit the change is slowly happening and it's making kids rearing fun as well. That's amazing article. You very beautifully described the meaning of fatherhood. Your points somehow relates to my life. My husband too was hard to understand before becoming father.but now he has changed a lot. He is bestest father. Kids feel more secure themselves when they are with their father. I love my husband even more now as he understands that parenting is a team work and his support is a big help in winning this game. I am glad to know that your husband is equally helping. I'm so happy to read that you had such an amazing support system in your husband. Not many men will agree to stay home with their baby while their wives go to work! He's really an example... You're right to be proud! So agree with you dear.Not many men will take this a positive change for the need of the family. But it happened in my case and I found myself so lucky then. Wow! Isn't it a blessing. I'm sure the story of your husband would really inspire many. I'm blessed to have a husband who is a great support system too. 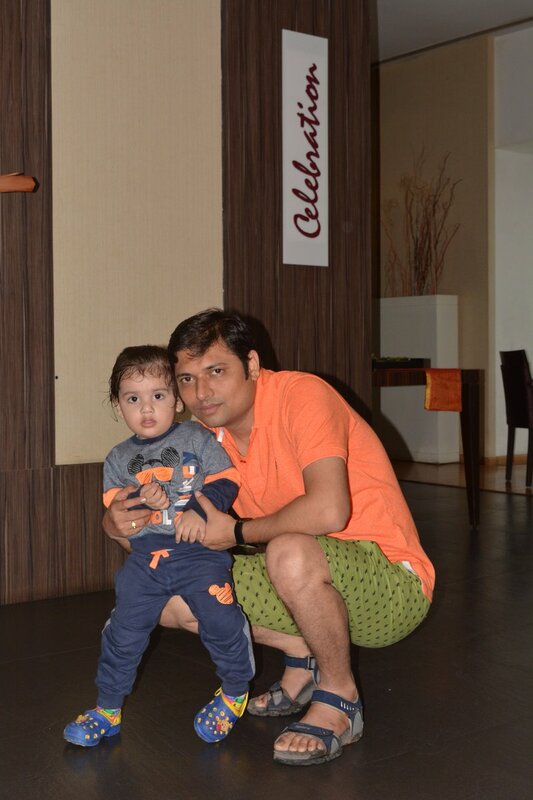 Good to know about your husband and your cute little family Shipra. I think the trend has changed now and fathers are really hands on in everything. My husband is also a caring and loving dad who is more like a friend to my girls. Definitely the trend is changing and that's why women are able to carry work and home both the responsibilities these days. Husbands are becoming a rock support in many of the families.